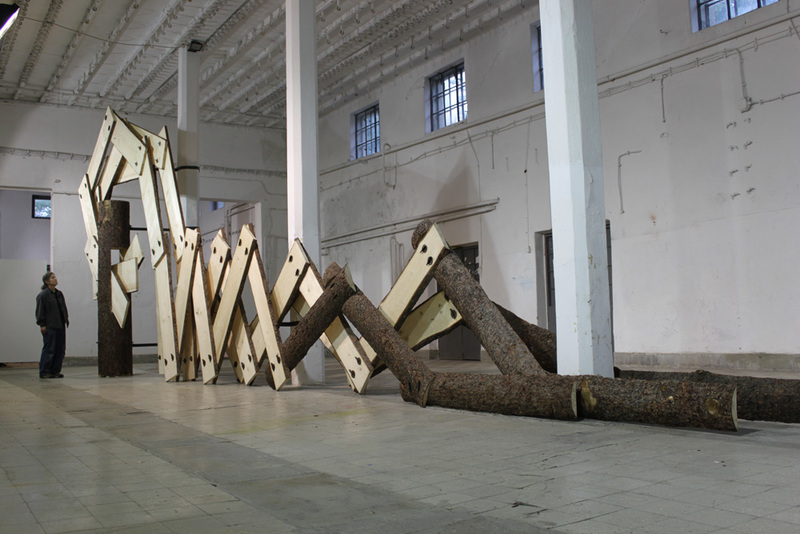 ONE TREE WORKS are site-specific sculptures made from and with distressed, storm damaged, fallen or standing dead trees. Trees are perhaps our most important partners on the planet. Almost every culture has a designated ‘sacred tree’. Trees are noble symbols of strength and the spirit of life. The site specific contest becomes a part of the content and creates a ‘personage’ where the tree becomes a marker referencing a particular person that unites the person, the site and the history through the intervention with the tree. The ‘personage’ may be referenced in the title of the piece. NAMASSAKEESETT started with a fallen Eastern White Pine tree. It's history and proximity to our home and studio became the inspiriation for our sculpture installation in Selections at Massachusetts College of Art & Design. View the making of Namassakeesett.